The Brooklyn Music Scene is my current Documentary Feature as a producer and director. I have always been curious to investigate and create a documentary about the Indie music production in New York City, specially in the Lower East Side, which was for a long time a tremendous location for independent music production. But today, the Brooklyn music scene is also getting world widely known with record labels such as DFA, Captured Tracks and Partisan Records. This tendency is constantly growing with music venues opening all over Williamsburg, Greenpoint and Bushwick and musicians from all over the world gathering there in search of gigs and fame. Excitable Liefeld by Cutters from Colectivo Piloto. The Brooklyn Music Scene documentary aims to answer these questions by following independent record labels, emerging artists and bands, and by visiting the best music venues and record stores in Brooklyn. You can follow The Brooklyn Music Scene’s work in progress on Vimeo and Facebook. Anywhere But Here by Chumped from Colectivo Piloto. Short Documentary about the Victorian Flatbush, one of Brooklyn’s most beautiful, interesting and culturally diverse community. This film was made on E 19 St. between Foster Av. and Glenwood Rd. in Brooklyn as part of On My Block Films, a film challenge that brings together communities by inviting them to create short films using the residents of their block as cast and crew. New York is a crowded and busy city. Its inhabitants rarely meet with the people living around them. On My Block Films creates an opportunity for neighbors to introduce themselves, to work together, and to create trusted relationships through a collaborative filmmaking process. 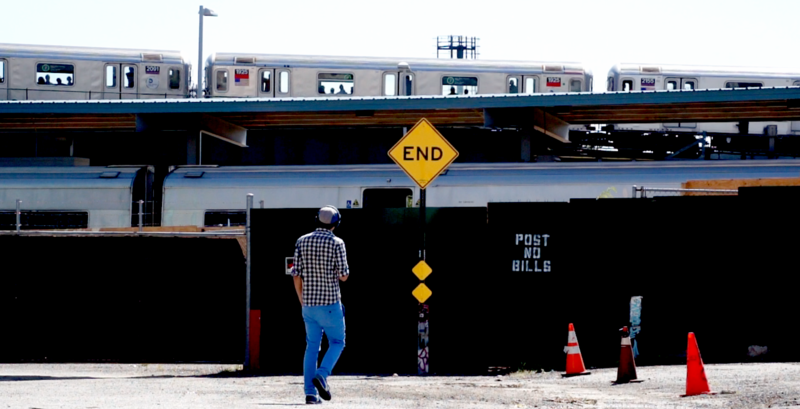 Midwood Brooklyn from Pablo Herrera on Vimeo. With its long and continuing history as a haven for immigrants, artists, musicians, poets, and political activists, the Lower East Side has been a cultural incubator since its earliest days. Ideas, movements, trends and customs that derive from either old or new world cultures, or both, emerged and radiated from here. During the summer of 2012, I joined Museum of Reclaimed Urban Space (MoRUS) to produce a documentary about the activist history of the Lower East Side. In The Building of a Community activists, artists, historians and political representatives describe the neighborhood, the squats, the community gardens and explain the struggle to save them. To service the mission of MoRUS, this documentary aims to broadcast the historical memory of the activist movements of the Lower East Side. The Building of a Community from Colectivo Piloto.